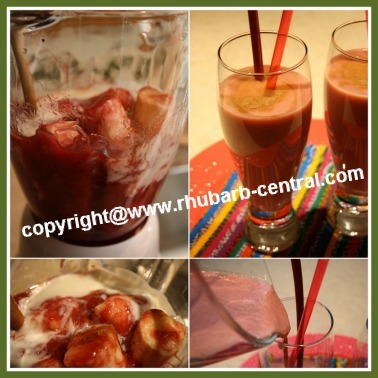 This Banana Rhubarb Smoothie Recipe makes a delectable smoothie with an easy to make rhubarb sauce base and soy or plain yogurt. 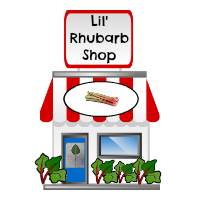 You can use fresh or freezer rhubarb to make the recipe for the stewed rhubarb base. Healthy Smoothie Made with Rhubarb and Banana! Banana is often paired with rhubarb in a recipe to bring a natural sweetness to the more tart taste of the rhubarb. 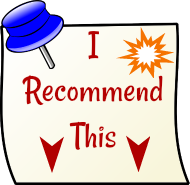 Scroll down for more great recipe ideas pairing rhubarb and banana. 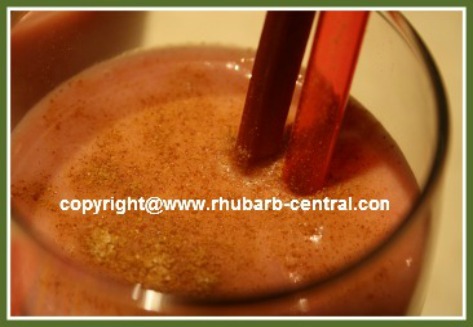 A great way to use up some of that rhubarb in your freezer before the next Spring rhubarb harvest begins! Peel the banana(s), cut them into chunks, and add them to the blender. Also add the stewed rhubarb, and the yogurt to the blender. Pulse until just blended into a smooth consistency. Add the lemon juice and pulse again. 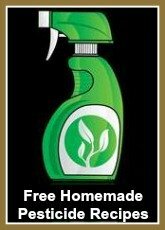 If a thinner consistency, add ice cubes, milk, or soy milk. Pour into glasses, and garnish with ground cinnamon, optional. To speed up the ripening of unripe bananas, place the bananas in a brown paper bag, along with ripening tomatoes, pears or apples. The ripening tomatoes, pears or apples emit an Ethylene gas, and, because bananas produce this same gas to ripen, placing the bananas in a bag with these types of fruit traps the gas and ripens the bananas faster. To slow down the ripening of bananas, store them in the refrigerator. The banana peel will turn dark, but the banana fruit inside will stay fresh longer than if the bananas were kept on the counter.